Proud of Your Boy was an important song to the staff of the movie musical, Aladdin. It was written by Howard Ashman and Alan Menkin, the composing duo who also wrote the music for The Little Mermaid and Beauty and the Beast. 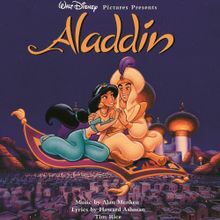 The song focused on Aladdin’s relationship with his mother and Ashman said that it was his favorite song in the film. In the middle of Aladdin’s production, Howard Ashman died of AIDS. It was a difficult time for all involved in Aladdin. It must have been even tougher for Alan when the decision was made to take the mother out of the story. The cut meant taking Proud of Your Boy out of the film which now Alan had become very attached to since the death of his friend. 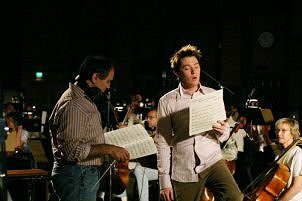 Clay Aiken became a part of the Disney family by singing Proud of Your Boy for the new DVD. Alan Menkin said that Clay fit the part perfectly and was very pleased that Clay was involved with the DVD. After the recording, Buena Vista Home Entertainment became the title sponsor of Clay’s first tour. 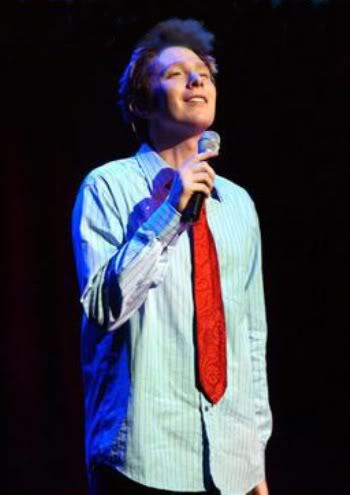 On September 30th, 2004, Clay Aiken attended the release party for the Aladdin (Disney Special Platinum Edition) DVD. Clay was accompanied by his friend, Amber Nix. He walked down the “Blue” carpet and chatted with the press. 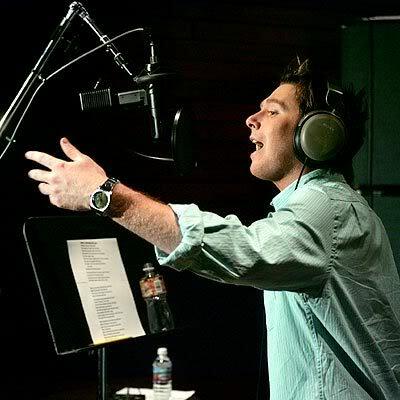 Inside the theater, Clay performed the song Proud of Your Boy. I have added 3 videos to this blog. Two of them are wonderful behind the scenes stories about the song and why they chose Clay to sing. They are wonderful. The third video is new. It was posted on YouTube by a young dancer who performed to Clay singing Proud of Your Boy. It is great and I hope the young man gets lots of plays. A special thanks to beedawn who found the video and shared it. I hope you all enjoy it! What a perfect song to listen to on the day after Mother’s Day!!! Error: Error validating access token: Session has expired on Tuesday, 21-Aug-18 16:13:01 PDT. The current time is Wednesday, 24-Apr-19 01:23:25 PDT.